Plants grown in pots and containers are almost totally dependent on compost for their nutrition. They can also dry out very quickly, the container and basket compost is designed to provide the ultimate growing conditions for container grown plants. 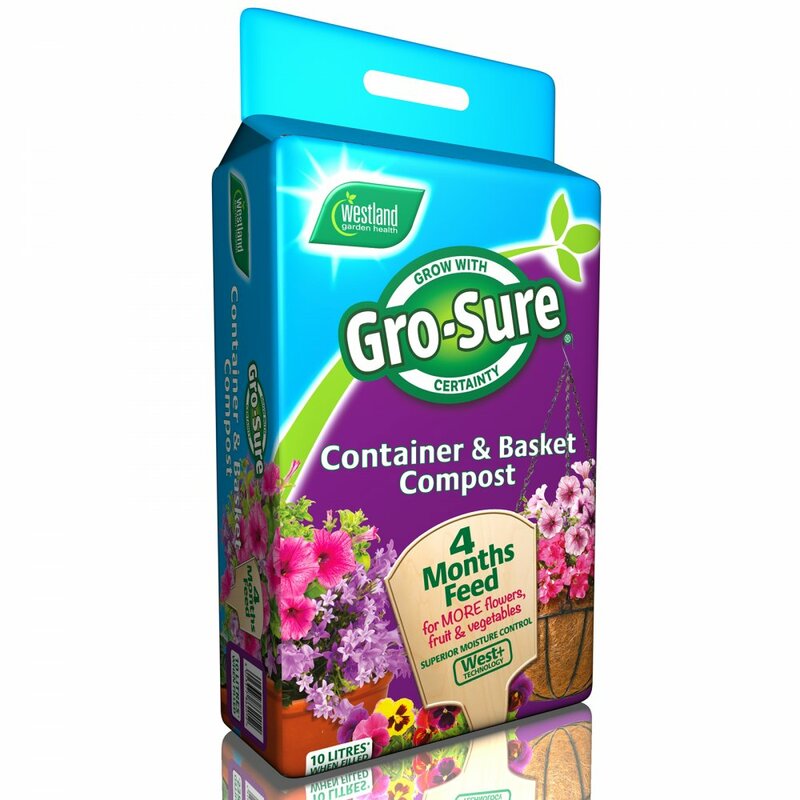 It contains 4 months feed and is formulated to drain easily, while retaining moisture, keeping plants hydrated, but not waterlogged. It’s also 50% lighter than other composts, meaning its ideal for pots and containers which may be moved around the garden. Fill containers, plant in young plants, keep watered and enjoy the display! Ideal to use in pots, containers and baskets. Can be used when filling pots and containers all year round indoor and outdoor. Contents 10 litres when filled.